A comprehensive collection of profiles of the best riders to have raced at the prestigious Isle of Man Tourist Trophy. From the legendary racers at the beginning of the 20th century like Charlie Collier to the stars of modern TT racing like John McGuinness, Ian Hutchinson and Michael Rutter, this book examines the careers of some of best riders in the history of motorcycle racing. Re-live the sport’s golden age in the 1950s, wonder at the skill and courage of riders like future Formula One World Champion John Surtees, superstar Geoff Duke and the legendary Giacomo Agostini in the sport’s most dangerous era, and celebrate the magnificent achievements of Tony Rutter in the 1970s, Steve Hislop in the 1980s and Joey Dunlop and Carl Fogarty in the ‘90s. Packed with superb photographs and statistical information, each profile looks at the riders’ successes, failures and iconic moments. 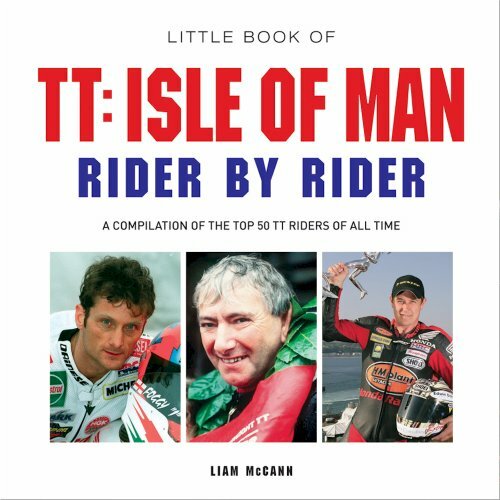 This book is a fantastic reference point for all fans of the Isle of Man Tourist Trophy.